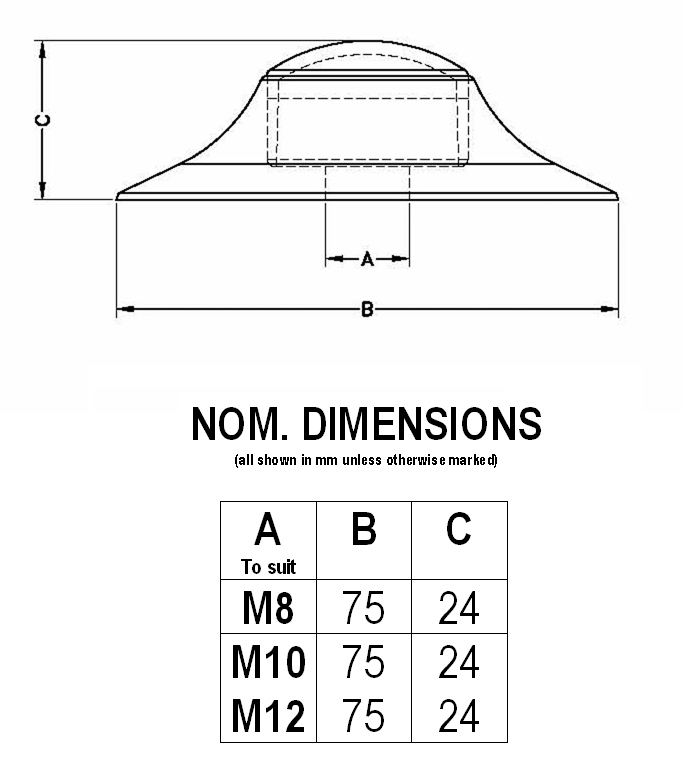 Bluemay Buffalo Insulation Discs (“Insudiscs”) are ideal for situations where the insulating qualities and strength of nylon are needed for an application requiring the use of metal fixings, although they also are well suited for use with Buffalo bolts or nylon threaded rod. 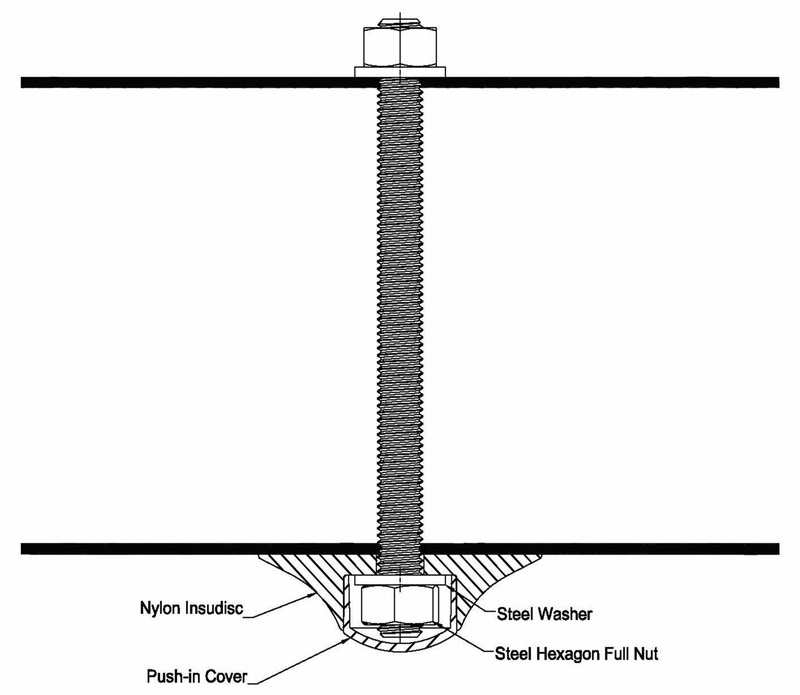 The Insudisc base offers strong support for ceiling and wall panels, having the same o/d as Bluemay’s standard load spreading washers, and the recess for the metal nut and washer will allow the use of insulating mastic if required. The whole assembly is manufactured from nylon, one of the strongest grades of engineering plastic, and finished off with a plug, giving a neat, hygienic and clean finish. 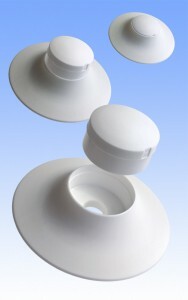 The base is available with three different sizes of hole to suit M8, M10 and M12 and all are available from Bluemay ex stock. Insudiscs are an extension of our range of cap and washer assemblies – please call our Sales Team on 01380 821811 to discuss your requirements and to place an order.